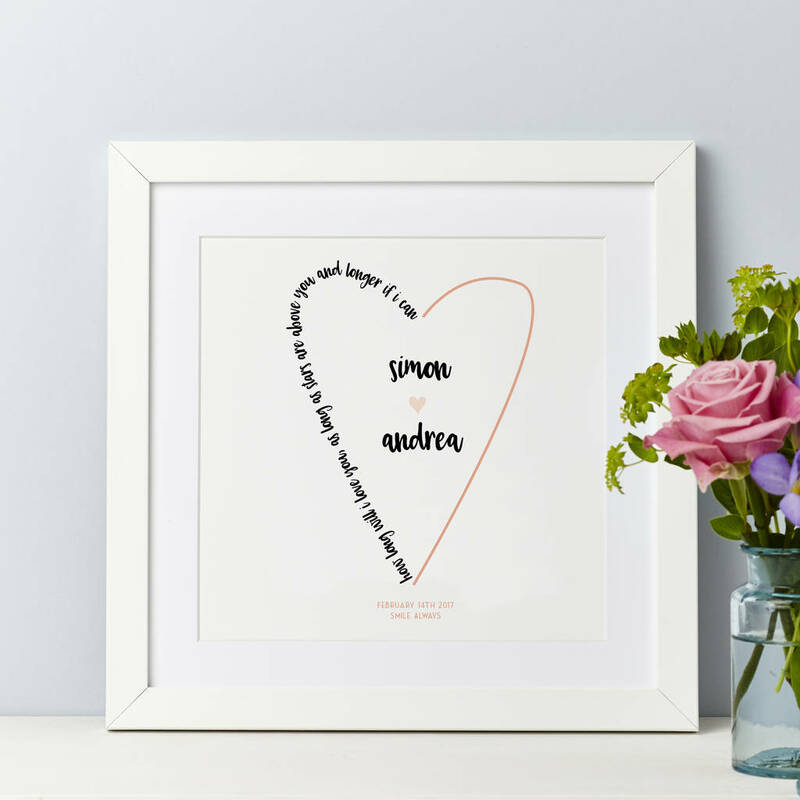 A beautifully contemporary print for a keepsake valentine, wedding or anniversary gift. Add your own personalised wording up to 120 characters (including spaces). This could be the introductory lines of the song, the chorus or first verse or a few random lines that have particular significance. 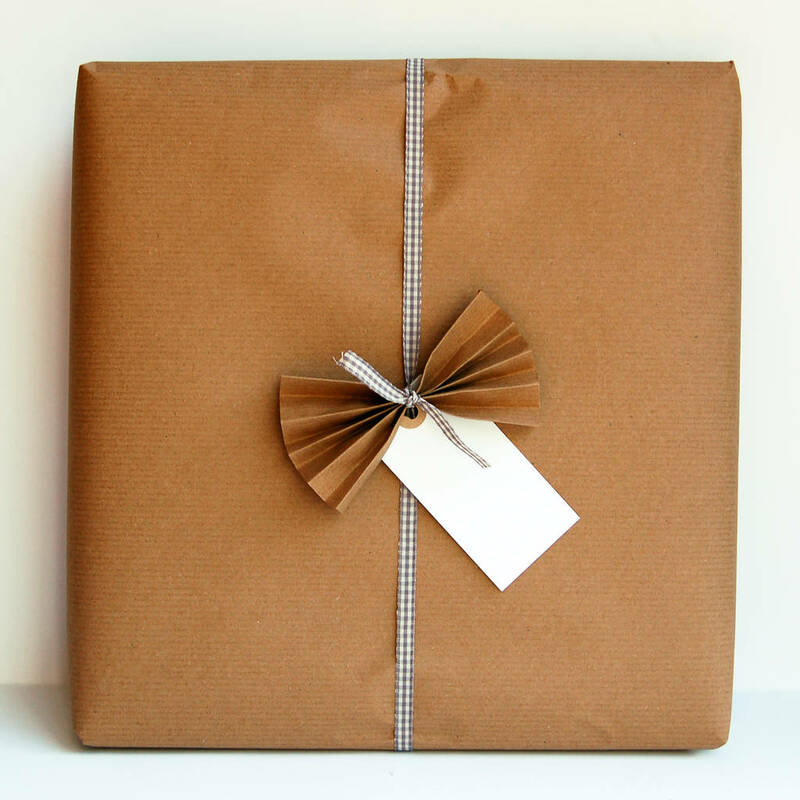 A poem, a selection of meaningful words, a thank you or some words of wisdom or advice such as for a bride from her bridesmaids on her wedding day. Please do contact us with any queries you may have regarding this - just consider that the more characters you include the smaller the text will become. 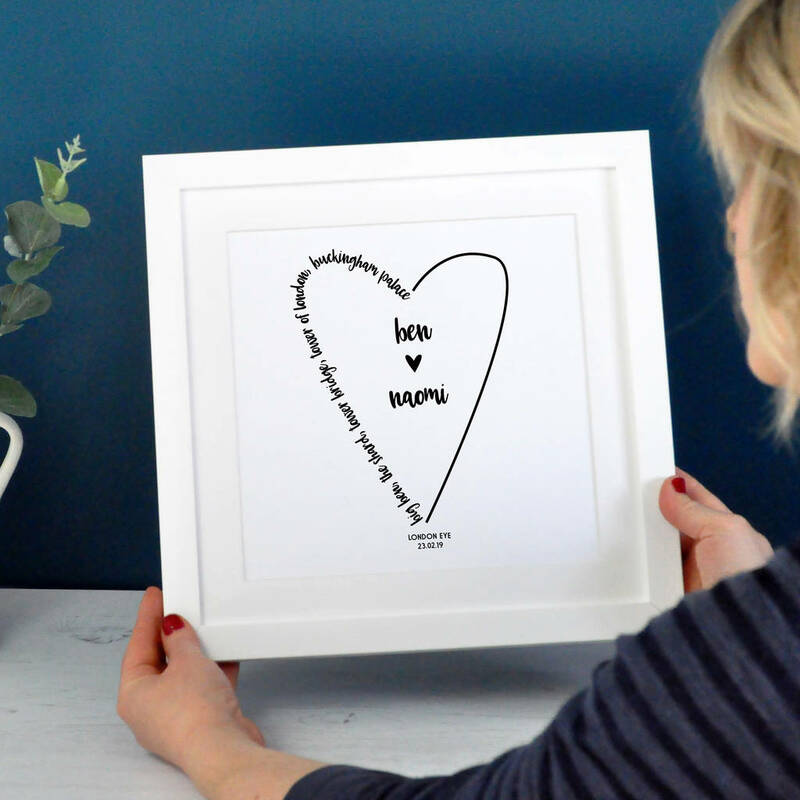 To give you an idea the teal coloured example 'love is' image contains 100 words and the song lyric rose coloured print has 75. We would suggest no fewer than 50 characters to ensure that the shape of the heart remains distinguishable. 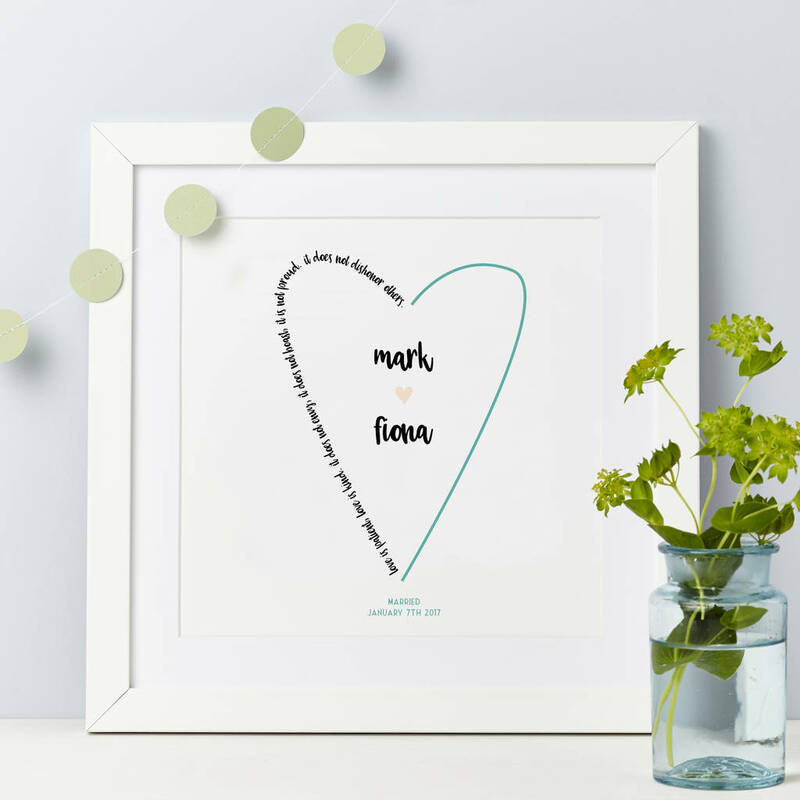 Option 1: A lovely mounted personalised typographic print featuring a couple of lines from a favourite song or poem, or a wedding reading or vows or just some specially written words. A great way to celebrate a wedding, Valentine's day or an anniversary. A unique gift for the couple that can be treasured and can be framed to be displayed in their home. 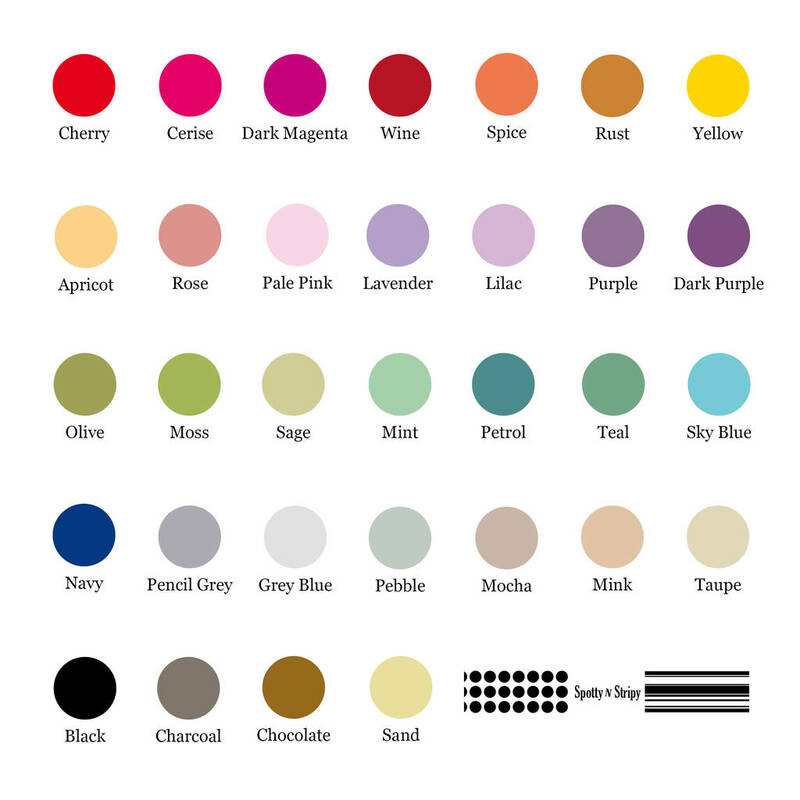 Example print colours are image one - rose and image two - teal. Please note this is a mounted but unframed print. For our framed version please see below. 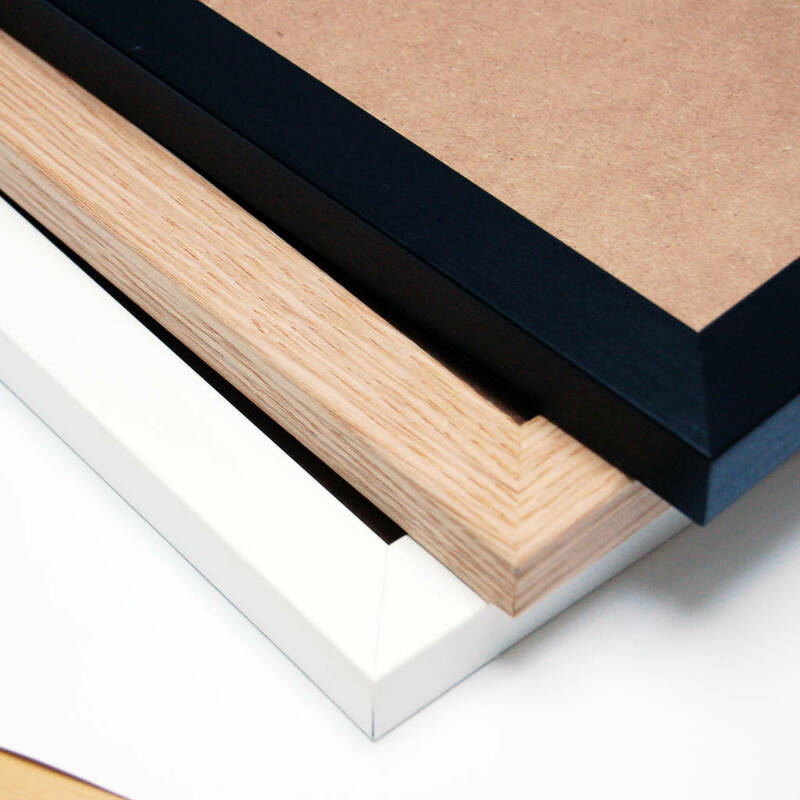 Option 2: The mounted print is supplied in a contemporary square, glass fronted frame to suit any style of interior. All other details as per the mounted print. We use high calibre dye based photographic inks and premium quality white archival quality photographic papers. Supplied mount boards are 'snow white' colour.